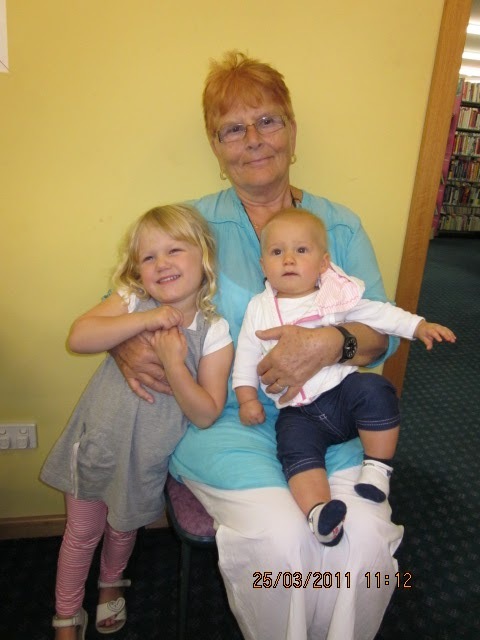 As part of Seniors Week Celebrations Engadine Library hosted a special Grandparents' Storytime. There was lots of audience participation when old favourites like :"B-I-N-G-O" and "My Gran came back" were enthusiastically sung. Grandparents were then treated to a delicious morning tea while the children were happily working on their "Grandpa and Thomas" craft.